Enhance your prostate massage experience with new Ultra Si. This dual prostate and perineum massager combines the firmness of polypropylene with the luxurious cushion of silicone to give dual sensations you'll love! It's designed to fit comfortably within the male form with a shaft shaped to massage the prostate internally whilst the stainless steel rollerball gently rolls against the perineum, delivering a delicious licking sensation. Ultra Si, combines the effective shape of Nexus Neo, the firmness of polypropylene and the cushion of luxurious silicone. 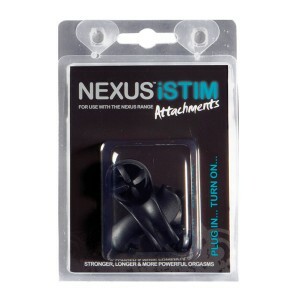 *Shaft length: 13.5cm (5.31ins) Shaft circumference: 9.2cm (3.62ins) *Remove the stainless steel roller ball and replace with the Nexus iStim attachments (Sold separately), connect it to your ElectroSex system and transform Nexus Ultra Si into pure sexual dynamite! * We carry a 1 year warranty on all products.